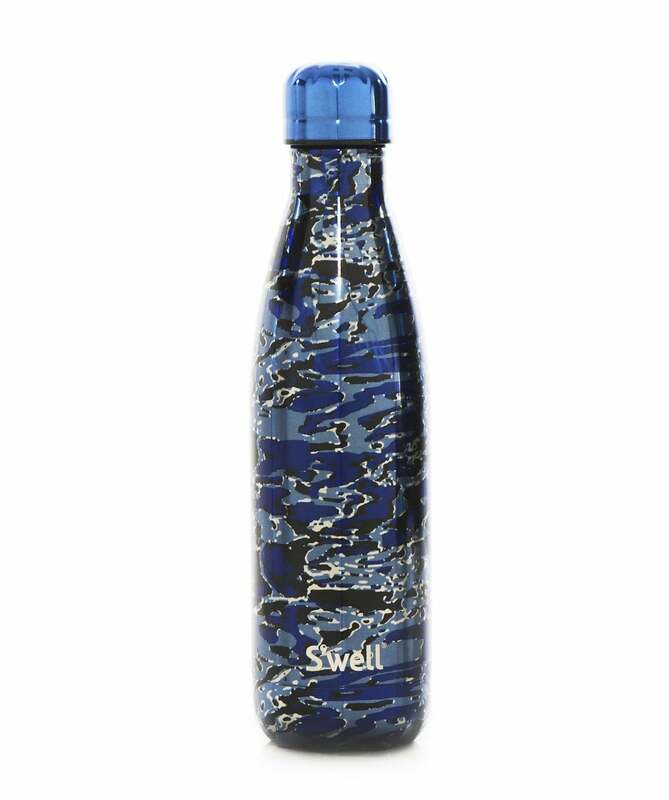 From the brand's Metallic Camo collection, the S'well 17oz Clandestine water bottle is the perfect accessory to keep your hydrated throughout the day. Crafted from a triple-walled stainless steel construction, this thermos bottle features a vacuum seal and screw top, ensuring your drinks stay cold for twenty four hours and hot for twelve hours. Adorned with the metallic and contemporary Clandestine print, this bottle boasts effortless style.